With the noticeable surge in the incidence rate of human immunodeficiency virus (HIV)-1 infection, the market for HIV therapeutics market is gaining remarkable momentum across the world. The rate of demise from HIV-1 infection, however, is much higher than its occurrence rate. The number of people coming in contact with HIV is increasing at a fast pace, with emerging and under developed economies being severely hit as they lack adequate treatment facilities and prevention measures. Hitherto, no cure to HIV infections has been discovered. However, with appropriate medical intervention and therapeutics, their severity on infected humans can be controlled, providing new life lease to patients. Entry and fusion inhibitors, NRTIs, Non-NRTIs, integrase inhibitors, coreceptor antagonists, and protease inhibitors are the main drug classes of the therapeutics for HIV. With a large number of anti-retro viral drugs, the NRTIs segment has emerged as the most prominent drug class in human immunodeficiency virus therapeutics. NRTIs slow down reverse transcriptase activities and eventually apprehend viral replication, which helps in reducing the effects of the infection on the human body. In general, the anti-retroviral regimen, used for the treatment of HIV patients, has a combination of anti-retroviral agents from diverse drug classes. Currently, over twenty FDA-approved drugs for the treatment of HIV are commercially available across the world. 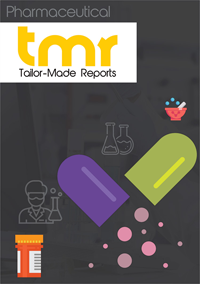 The report by TMR Research discusses the trends, catalysts, opportunities, and deterrents of the global human immunodeficiency virus therapeutics market. The major vendors are studies in-depth, wherein their key business strategies, market shares, and product portfolios have been discussed. The market attractiveness, competitive landscape, market projections, supply and demand dynamics, and value chain analysis have also been revealed along with relevant statistical data. The increasing prevalence of HIV infections, particularly amongst the youth worldwide owing to unprotected sexual activities, lack of awareness about the risk of transmission, and the usage of contaminated needles and syringes have been the most prominent growth drivers boosting the global HIV therapeutics market. The growing healthcare expenditures of governments and the gradual spread of awareness about the availability of anti-HIV therapies are also contributing towards market growth. Research conducted in novel scientific arenas such as pharmacogenetics and pharmacogenomics have been backing up the expansion of the market. The most awaited advent of personalized treatments wherein medications are optimized for every single patient considering the individual's genetic makeup has raised the hopes of HIV positive patients. Several community groups, national research groups, regulatory bodies, pharmaceutical companies and patients have joined forces against HIV, working towards the development of effective HIV therapies. All this has triggered the growth of the global HIV therapeutics market. Moreover, as several drugs are constantly being developed and are entering clinical investigation each day, it is likely that they will be easily available in near future, promoting the expansion of the market substantially. On the basis of geography, the global human immunodeficiency virus therapeutics market can be segmented into Latin America, Europe, Asia Pacific, the Middle East and Africa, and North America. Escalating incidence of this infection has been observed in Russia, Latin America, and several parts of Caribbean. Therefore, these regions are expected to display considerable demand over the coming period. The continents of Asia and Africa are plagued by this viral infection, with countries such as China, India, and Nigeria with high incidence of HIV infections. According to the WHO, 1 out of 25 people are suffering from HIV infection in the Sub-Saharan Africa, making up almost 70% of the entire global HIV population. Steps taken by governments to improve access to HIV therapies in these emerging economies are likely to boost the demand for HIV therapeutics in these regions. Moreover, numerous national and international initiatives across the globe by institutions such as the HIVNAT (The Netherlands, Australia, and Thailand) Network, Harvard AIDS Institute, and MSF (Médecins Sans Frontières) have also been guiding growth. Some of the major companies operating in the global human immunodeficiency virus therapeutics market are ViiV Healthcare, Boehringer Ingelheim GmbH, Merck & Co., Cipla, Inc., Bristol-Myers Squibb Company, and AbbVie, Inc.